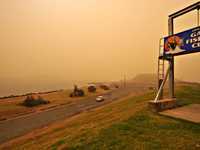 THE Coffs Coast again held its breath again yesterday as another dust haze blanketed much of the east coast. 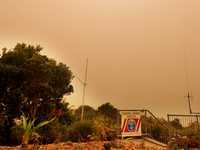 While it wasn't of the same magnitude as the dust storm a couple of weeks ago, paramedics again treated people for breathing difficulties and local air traffic was again affected. By mid morning, the visibility was reduced to 5000 metres adding to the difficulty of pilots and the tower at Coffs Harbour Regional Airport. 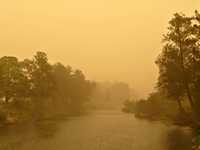 Local Bureau of Meteorology weather observer Greg Crow said more dust storms could eventuate during what's been one of the driest seasons in memory. 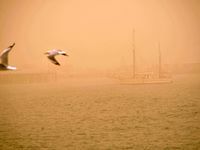 “The dust that's blowing over from South Australia and western NSW is being lifted by strong winds caused by the combination of a cold front and a low pressure system moving across Bass Strait,” said Mr Crow. 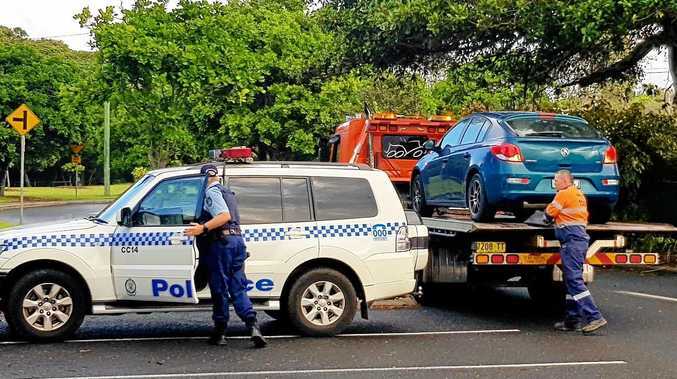 “Here in Coffs Harbour, there's been a layer of dust sitting at about 2300 feet. The bureau has forecast the likelihood of further hazes or storms in coming weeks, but it's hoped the inland dust will finally be settled by rains forecast around Christmas. The dust is proving a boon for some at least. Local house-washers and automatic carwashes are predictably flat out - and then there are the window washers! “I just can't keep up,” said Bayden Hogan of Coffs Window Cleaning.